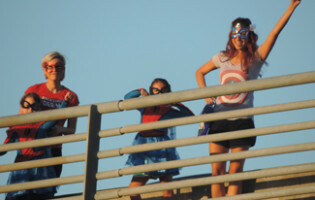 Every month, on the Sunday following the First Friday ArtWalk, locals and visitors alike get together and take in breathtaking views from atop the Harbor Bridge. 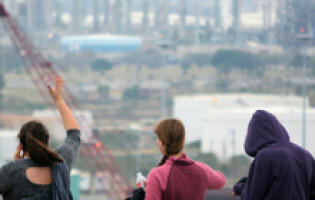 Enjoy this bird's-eye perspective from one of Corpus Christi's most iconic structures with uninterrupted aerial views of the USS LEXINGTON, Texas State Aquarium and the Downtown skyline. 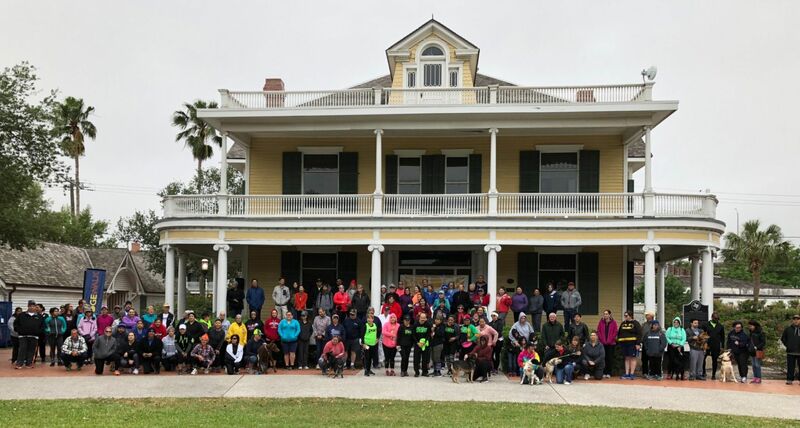 The event starts at Heritage Park and the walk begins at 8:30 a.m. 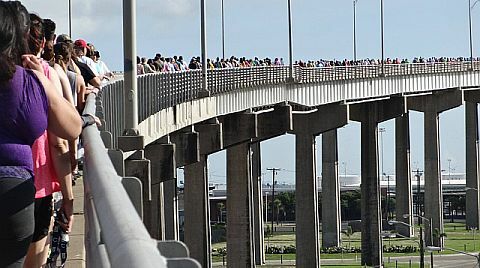 Please note that Harbor Bridge will be closed to the public at 8:00 a.m. for our permitted event. 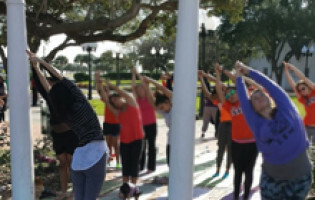 The park is filled with Fitness Partners before and after the walk for added opportunities to learn about staying healthy. Please remember to sign your participant waiver in Heritage Park prior to event start. 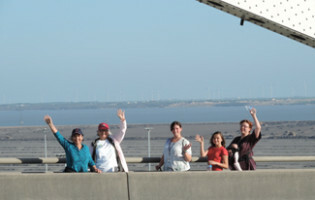 There is an alternate route that takes walkers along the shoreline for those preferring the view from the seawall. 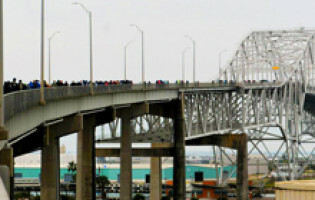 Join this Corpus Christi tradition! The event begins at Heritage Park at 8:30 a.m. Please note that Harbor Bridge will be closed to the public at 8:00 a.m. for our permitted event. 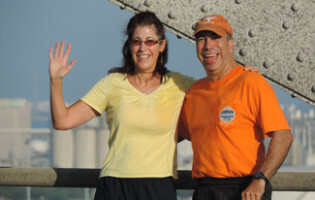 BridgeWalkers should arrive at Heritage Park by 8:00 am to allow time to read and sign the waiver. If you would rather not walk over the Harbor Bridge, the monthly BridgeWalk also offers a “Bay Route”. It is approximately the same distance and takes about the same time. 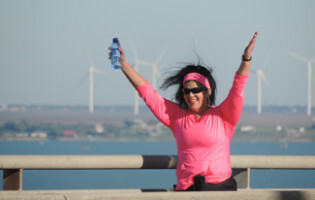 The route is along Shoreline by the Corpus Christi Bay. 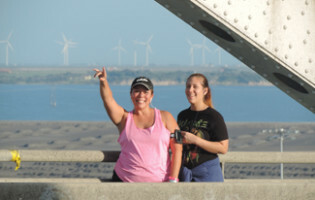 The Bay Route is popular with people who walk dogs, push baby strollers, or have kids participating with them on the walk. 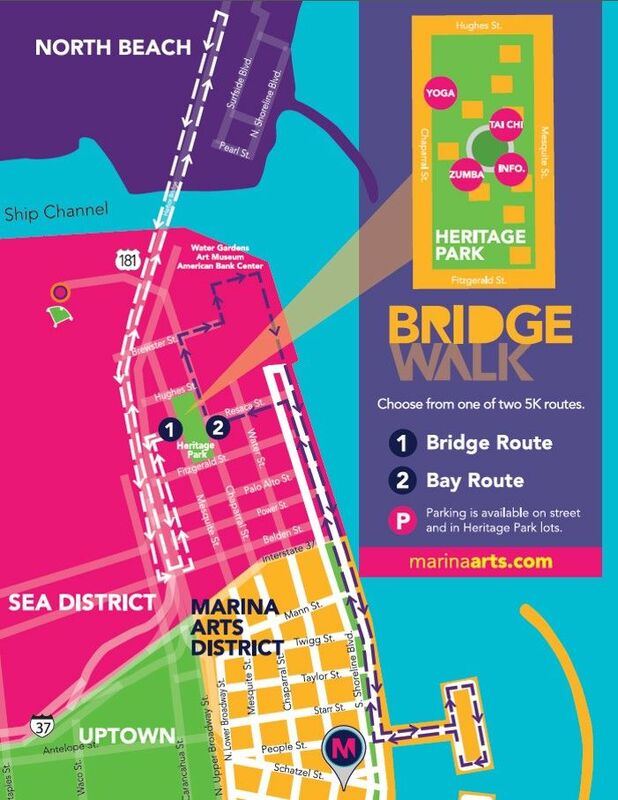 The Bay Route leaves Heritage Park and heads towards the Water Gardens, then up to the Bayfront along Shoreline Blvd to the People’s Street T-Head and back. The route is signposted and if you follow all the signs the distance is 3.4 miles. Afterwards, join us back at Heritage Park to visit with our fitness partners and perhaps participate in one of their free sessions. Come out and be a part of this fun and healthy fitness event. 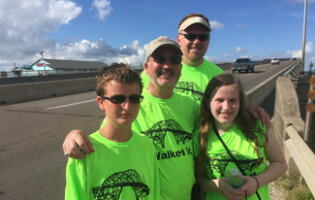 If you follow all the BridgeWalk signs from the Galvan House and back the total distance covered, including 2 miles on the bridge, is 3.42 miles (6020 yards or 5.5Km). 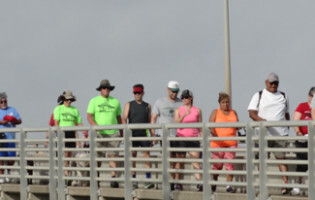 Arrival & Check In 8:00 a.m.
Other Groups Depart 8:35 a.m.
First Participants Return 9:00 a.m.
Want to Sponsor Bridge Walk?